The Benro MK10 is a selfie stick that can quickly convert to a tripod, and is a very useful accessory for a 360-degree camera. Here’s why. 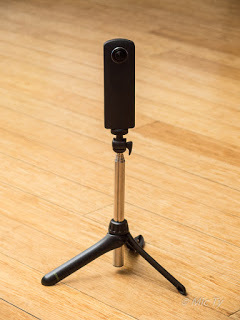 While photographers scoff at selfie sticks, they are one of the most important accessories for a 360 camera, because they enable you to move the camera farther away to avoid the giant hands / giant thumbs look. 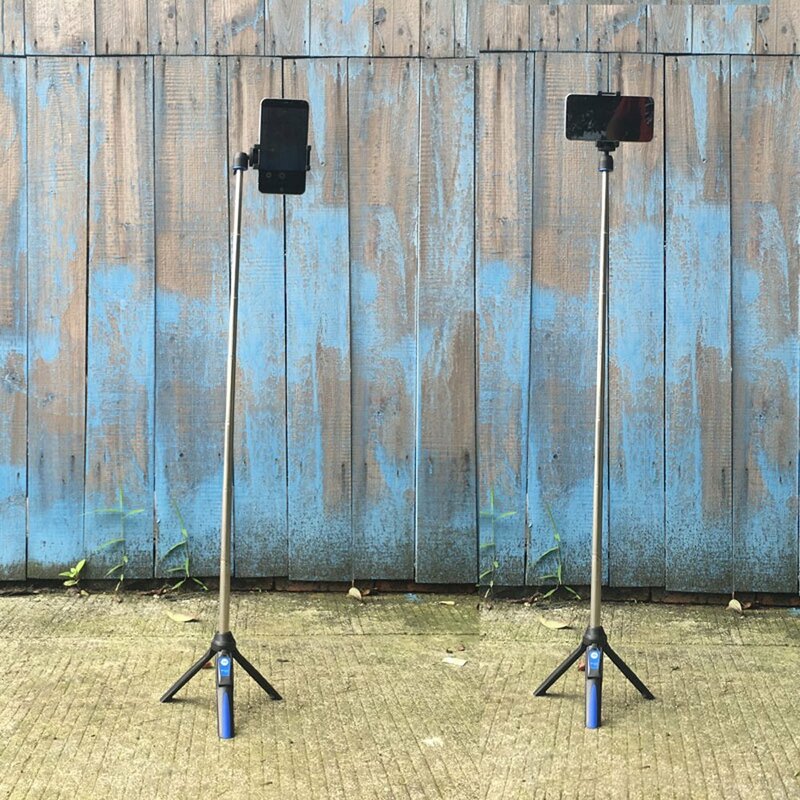 A selfie stick is even more useful when it can convert into a tripod, because it allows the photographer to move away from the shot. The selfie stick / tripod that I use for indoor photos and videos is the iKross. However, it’s since been discontinued. Fortunately, there’s a similar product called the Benro MK10. Like the iKross, the Benro’s handle converts to tripod legs. There’s no need to attach tripod legs to the MK10. The top of the MK10 is a built-in ballhead with a universal 1/4-20 tripod attachment that can work with most 360 cameras. The MK10 also includes a smartphone holder and a GoPro adapter. The Benro is very compact, at about 9.5 inches in length, similar to the length of the iKross. It’s short enough that you can put it in your pants pocket (although it will jut out a bit). At its shortest length, it can be used for tabletop photography. The Benro can also extend from 18cm to 85cm (7 inches to 33.5 inches). At its maximum length, the legs will occupy only a very small portion of a 360 photo or video. However, please note that when fully extended, it can be tipped over by a breeze, so I would only use it at or near its maximum length indoors. There is a removable Bluetooth remote that can be stored in one of its legs. I haven’t tested it, but the remote should be able to trigger the Insta360 Nano remotely. 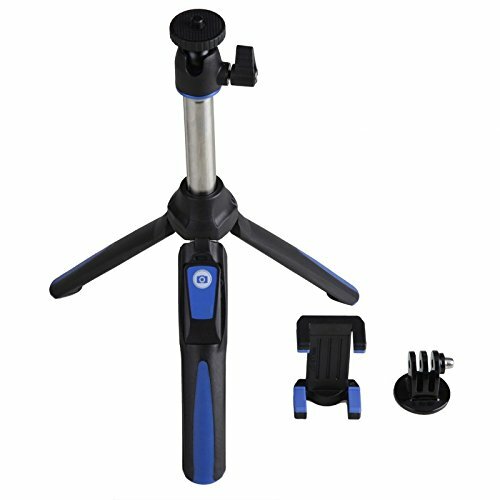 The MK10 is manufactured by Benro, a well-established manufacturer of prosumer-grade tripods. The MK10 is available in blue/black, red/black, or green/white. It is available for purchase from Amazon. If you would like to purchase one, please consider clicking on the link to Amazon, which would be a welcome way of supporting 360 Rumors at no additional cost to you. Thank you very much! I am planning to purchase MK10 for my Xiaomi 360 camera, what is your opinion? Hi Sam. The Benro MK10 works great on the Xiaomi because it can be invisible. It’s the selfie stick I use most often with the Xiaomi. The challenge is that to make it ‘invisible’ to the Xiaomi, you need to remove the ballhead which is quite difficult to do. Another selfie stick you can use instead is this one: 360rumors.com/2017/06/effortless-invisibility-cheap-selfie-stick-also-invisible-360-cameras.html It doesn’t have a built-in tripod but it’s much easier to make it invisible. Either selfie stick would work well with the Xiaomi. BTW Xiaomi is also releasing their own selfie stick soon. Thanks for your valuable comment. I think I’ll wait for Xiaomi own selfie stick and hope it can be connected with their own tripod together.